Wigan vs Stoke City predictions ahead of this Championship clash on Wednesday night. Read on for our match preview and free betting tips. New manager Nathan Jones has had a tough time when it comes to adjusting Stoke’s fortunes. He takes his team to Wigan – a side responsible for one of the Potters’ worst results this season. Can the visitors shake off the issues that have plagued them of late, or will they end up losing to the Latics once again? The visitors are sat down in 17th place, a full 12 points shy of the top six. While they weren’t expected to turn things around and launch a playoff push, things are looking awful for the away side. Wigan are a couple of places shy of Stoke, but can they close the gap on them? The Latics have spent the season in reach of the danger zone, as they look to avoid a speedy return to League One. They have a seven-point lead over the relegation zone, but that isn’t enough in a league as unpredictable as this. The hosts need to use their home games to drag them clear of the drop, especially given their record on the road. Just 18% of their points have come on their travels so far this season. That makes the result in the reverse fixture between these two even more surprising. Stoke were beaten 3-0 at home to Wigan earlier this term, which was a crushing blow. The visitors have had plenty of those this season, which continued under the watch of new boss Jones. A 1-0 loss at home to West Brom this weekend left them slumped in the bottom half of the league table, and they are set for an awful finish to a season which started with them priced up as favourites for glory. The visitors have now lost their last three games, all without scoring a goal. They were beaten 2-0 at home by Preston and lost by the same score at Hull. A shock win over Leeds is the one positive from their last six, losing all of the rest. They’ve won just once in 10 games overall, while they have only two wins in 15 away games so far this season. Stoke have failed to beat Wigan in the previous nine meetings between the two, so we struggle to predict an away win in this clash. The visitors come here in terrible form, while Wigan have won back to back home games. They’ve kept a clean sheet in 40% of their games here, losing only four times in 15. 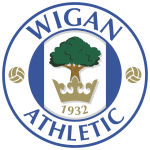 With the visitors failing to win in 87% of their away matches, we see great value in backing Wigan Draw No Bet. Wigan boss Paul Cook and Stoke’s Nathan Jones faced during the 2016-17 season in League One, with Cook’s Portsmouth winning both games against Jones’ Luton Town side. Stoke haven’t lost three consecutive away league games outside the top-flight since March 2006 under Johan Boskamp (five defeats in a row). On-loan Wigan striker Leon Clarke has been involved in 22 goals in his last 28 home league starts (17 goals, 5 assists). 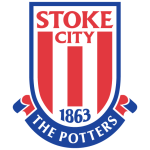 Manager Nathan Jones has lost his first two away Championship matches with Stoke, with the Potters attempting just 11 shots across those two games.